Something must be going on with stomach acid. We've received over 50 emails in the last 30 days on stomach acid. Yes, we get 10,000 emails a month, but getting 50 on one topic is highly unusual. The questions on stomach acid were of all kinds mind you, but surprisingly, not one on what I would consider the most important issue: low stomach acid. Before we can even talk about stomach acid, we need to spend a little time talking about how it fits in the digestive process. Most people believe that when you eat a meal it drops into a pool of stomach acid, where it's broken down, then goes into the small intestine to have nutrients taken out, and then into the colon to be passed out of the body -- if you're lucky. Not quite. Only after this period of "pre-digestion" are hydrochloric acid and pepsin introduced. The acid inactivates all of the food-based enzymes, but begins its own function of breaking down what is left of the meal in combination with the acid energized enzyme pepsin. Eventually, this nutrient-rich food concentrate moves on into the small intestine. Once this concentrate enters the small intestine, the acid is neutralized and the pancreas reintroduces digestive enzymes to the process. As digestion is completed, nutrients are passed through the intestinal wall and into the bloodstream. Processing and cooking destroy enzymes in food. (Any sustained heat of approximately 1180 - 1290 F destroys virtually all enzymes.) This means that, for most of us, the food entering our stomach is severely enzyme deficient. The food then sits there for an hour, like a heavy lump, with very little pre-digestion taking place. This forces the body to produce large amounts of stomach acid in an attempt to overcompensate. In addition to failing in this attempt (much of the meal still enters the small intestine largely undigested), there are two major consequences. This is obvious. In an attempt to overcompensate for lack of enzymes in the food, the stomach produces an inordinate amount of stomach acid to compensate, leading to acid indigestion. Taking antacids or purple pills doesn't actually solve the problem; it merely eliminates one of the symptoms. Ultimately, though, it passes even more quantities of poorly digested food into the intestinal tract where it leads to gas, bloating, bad digestion, chronic digestive disorders, in addition to blowing out your pancreas, which tries to compensate by producing huge amounts of digestive enzymes for use in the small intestine. All of this is exacerbated by foods and beverages such as alcohol (especially beer), high sugar foods, and caffeinated foods (coffee and tea, etc.) that can actually double acid production. The simple solution for most people with excess stomach acid is to supplement with digestive enzymes which can digest up to 70% of the meal in the pre-acid phase, thus eliminating the need for large amounts of stomach acid and also taking tremendous stress off the digestive system and the pancreas. One other factor which may be contributing to the problem is a hiatal hernia, in which part of the stomach can protrude through the diaphragm into the chest cavity allowing food and stomach acid to back up into the esophagus. Combine a hiatal hernia with excess stomach acid and you have the potential for great distress. The standard treatment for severe hiatal hernias is laparoscopic surgery -- with mixed results. Fortunately, there are chiropractic alternatives that can be quite effective. In either case, dietary changes and supplemental digestive enzymes are likely to produce significant results, without creating problems further down the digestive tract. Drinking 2-4 ounces of organic, stabilized, aloe vera juice every day can also help soothe irritated tissue in the esophagus and help balance out digestive juices in the stomach. If you spend years forcing your body to massively overproduce stomach acid to compensate for the lack of enzymes in your diet, what do you think the long-term consequences might be in terms of your ability to produce stomach acid? Poor digestion. Not only is there insufficient stomach acid to break down food, there is insufficient acidity to optimize the digestive enzyme pepsin, which requires a pH of around 2.0. This results in partial digestion of food, leading to gas, bloating, belching, diarrhea/constipation, autoimmune disorders, skin diseases, rheumatoid arthritis, and a host of intestinal disorders such as Crohn's and IBS. With low acidity and the presence of undigested food, harmful bacteria are more likely to colonize the stomach and interfere with digestion. Normal levels of stomach acid help to keep the digestive system free of harmful bacteria and parasites. Is it just me, or doesn't this list sound very similar to the symptoms associated with too much stomach acid? In fact, up to 95% of people who think they are suffering from too much stomach acid are actually suffering from the exact opposite condition. The use of antacids and purple pills then become exactly the wrong treatment to use since they exacerbate the underlying condition while temporarily masking the symptoms. Supplementing with digestive enzymes to reduce the need for stomach acid -- giving the body a chance to rest and recover its ability to produce sufficient stomach acid. Mix one teaspoon of apple cider vinegar with water and a little honey and drink this with each meal. You may gradually increase the vinegar up to 3-4 tablespoons in water if needed. Supplementing with betaine hydrochloride (HCL) tablets can also help, but anything beyond minimal doses as found in most health food store supplements should only be administered under the supervision of a health practitioner to avoid damage to the stomach lining. As I mentioned at the top of the newsletter, we received a number of questions on stomach acid in the last 30 days. Most of them had nothing to do with high or low stomach acid, but rather with the effect of stomach acid on supplements. In fact, the bulk of the questions we received were concerned with how stomach acid affects proteolytic enzymes, and they all pretty much ran along the following lines. How do they survive the digestion of proteins that takes place in the stomach? Wouldn't they be broken down by stomach acid into amino acids? If they do make it through the stomach, since they are so large, wouldn't they be unable to pass through the intestinal wall? Different enzymes function differently in different pH environments, which is why I formulated my proteolytic enzyme formula, pHi-Zymes™, to function in a wide range of pH's. Pinocytosis. Enzyme molecules are bound to, and encapsulated, by other substances such as water. Since they are encapsulated, the intestinal wall cannot recognize them as enzymes and thinks they are "water," thus readily passing them through the intestinal wall. Once the enzymes are in the bloodstream they attach to lymphocytes and travel easily throughout the vascular and lymphatic systems. Peristalsis not only forces food (and enzymes) down through the intestinal tract, it also forces transit through the intestinal wall. The reason we're supposed to take probiotic supplements is to replace the probiotics that we used to get in a wide range of unprocessed fermented foods such as homemade yogurt, sauerkraut, buttermilk, pickled foods, kimchi, real soy sauce, raw vinegar, tempeh, etc. -- foods that are no longer a significant part of our diet. But think about this for a moment. These foods are not enteric coated. How could these foods provide probiotic value if the beneficial bacteria were destroyed by stomach acid? The simple truth is that beneficial bacteria, for the most part, easily survive stomach acid. Also, if you take your probiotic supplements with water on an empty stomach (as we've already discussed), they encounter almost no stomach acid anyway. Think they have too much, when in fact they have too little. Treat the symptom and suppress stomach acid production, ultimately leading to long-term health problems. Ultimately lose the capacity to produce sufficient stomach acid as a result of dietary abuse and continual use of medications to suppress the body's ability to produce it. Don't get into that trap. Use digestive enzymes with all your meals. Use probiotic supplements with confidence. Use proteolytic enzyme supplements with confidence. And, if needed, use apple cider vinegar or betaine hydrochloride supplements to make up for stomach acid insufficiency. Thanks for the info Jon. I took digestive enzymes for a long time, but stopped for a while. I have a question for you and anyone else who may know. Everyone will have a problem with the Western diet and need a colon cleanse periodically who doesn't go completely raw. It's inevitable. We get so we can't absorb calcium through the colon wall very well. Course, that has some far-reaching implications. Body will take it out of the jaw and long bones of the body, it stays in the blood stream depositing it in the joints. so osteoporosis and arthritis, eventually. The usual story of our culture.So, I did a good colon cleanse. If the calcium isn't getting to the teeth to make them strong along with other nutrients like silica, then oil pulling is a good idea. With diseases so prevalent now, the only way to avoid disease is to also do some kind of anti-parasitic along with a few liver flushes and a good colon cleanse. Been there and done it. After being there once and doing it, I've decided to become a health educator along these lines. You can be sure it will work.. I have gastritis after my bout with h. pylori. Now I have a constant burning in my stomach and some heartburn. What I want to know is do I have too much or too little acid and how can I get tested? Is there a diet I can keep? Would appreciate your input. I think going to the Rothfeld Center for integrated medicine for years now. I was given a test called the baking soda test for stomach acidity, I would suggest Googling it. I was also told to take to tablespoons of fresh lemon juice and equal parts water, before a meal. If the lemon juice solution causes you to have more acid reflux, then your acid is high. If this causes you to have relief of your acid reflux, then your acid is low. I am only 26 years old and suffer from pretty much constant belching. I feel like I need to clear my throat of excess air so I burp then 2 seconds later I feel that I need to do it again, its a viscous cycle. I thought low acid but I don't get heartburn unless I happen to burp up some of my food after eating (happens once in a while). I also suffer from constipation. Is this high or low acid? Hi, I get exactly that constant belching that can be quite violent. I use digestive enzymes with betaine hcl and get immediate relief. After using the enzymes for a few weeks it appears to correct whatever was causing the excess gas. I stop or ease up on the enzymes until symptoms re-appear. Also eat little and often and don't wear tight clothing round waist. Hope this helps. Hi please help me out. Did you also have the symptoms of having bitter taste in mouth from acid reflux going up that high? But no heart burn ?please please reply to me. Anyone I am in desperate need. Another book that has been very helpful is "Body Ecology" by Donna Gates. There are many many youtube videos about body ecology as well -- Best to you and your daughters. I feel for your daughter, as I have suffered from many of the same problems as she has. To me it sounds like leaky gut, which may be caused by a bacteria overgrowth. I would recommend seeking out a good natural path or integrated medicine practice in your area. I go to the rothfeld center in Waltham Massachusetts. They were able to do a wide array of testing, that will pinpoint the problem. I have many food sensitivities, but they are not true allergies. Large particles of undigested or under digested food, all of which are healthy foods, leak through my gut and into my bloodstream. My mitochondria recognize that they cannot use such large particles and have created antibodies. I was told to eliminate these foods from my diet for several months and was then instructed on how to reintroduce / test them. For me this has been a very difficult process as I have had to give up many foods and have had to go on a very strict diet. It takes a great deal of willpower and determination to see this through. I've been doing this for a couple of years now and have lost over 50 lb. My hair is growing back I have more energy, the inflammation is greatly reduced, the bathroom problems are far less frequent, my eyelids no longer swell and rarely do they twitch, my joints no longer hurt and swell, I have far less gas than I did for Less burping and farting , I rarely get the ringing in my ears anymore , , I no longer get yeast infections with each cycle , the brain fog has gone away for the most part, I sleep better, I no longer get anxious, my equilibrium problems have greatly diminished and the night sweats have reduced. I'm definitely not 100% where I should be and I'm now having a hard time putting on weight, but I finally feel like I have regained my life and M and control. I wish the same for your daughter and hope oh, this is helpful information for you. The holistic approach has really worked for me, but I must let you know it is quite expensive. At one point I was probably spending about $250 to $300 a month on supplements and I still take many vitamins and minerals as well as digestive enzymes and Bitters to help my body produce stomach acid. My doctor diagnosed me with candida and sibo overgrowth comma with leaky gut, low digestive enzymes and stomach acid, with food sensitivities, low mitochondrial function, vitamin and mineral deficiencies ( because many of the vitamins and minerals were being used by the bacteria and because of malabsorption). I still have difficulty digesting and absorbing fats and fiber. I was put on a diet where I had three quarters of a cup of complex carbs ie oatmeal, Brown rice, quinoa and sweet potato Etc, 3 times a day three quarters of a cup at a time. High protein, lots of vegetables and no more than two fruits a day preferably low sugar fruits such as berries which are high in antioxidants. I was told to eliminate sugar and yeast, she should also eliminate alcohol and caffeine. Oh the reason your daughter may have difficulty with pork is because pigs organs are very similar to humans, this is why they will sometimes use pig hearts in transplants. It only makes sense that our bodies are not designed to break themselves down, so they would have difficulty breaking something similar down. To Tonya: Your teeth hurting maybe that you are grinding your teeth in the night when you sleep. I have that and my dentist said they could put a custom mouth protector (over the teeth) to stop that. I am still very skeptical about the oral introduction of enzymes as being beneficial. While digestion does start in the mouth, this is primarily limited to carbohydrates and lipids. Any enzyme supplement I would consider would need some indication of the enzymes pH/acid stability profile. While the enzyme may remain "intact" it may be denatured to a point where it will never recover its catalytic activity. The pancreas is the primary organ for enzyme production and only introduces it's juices until after the stomach chyme (juise0 is neutralized. 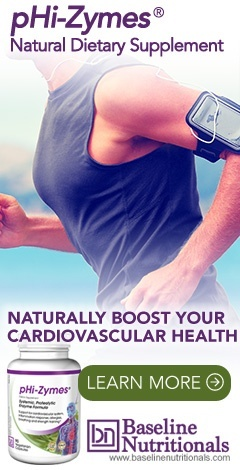 Needless to say I am highly skeptical of any claims that an enzyme supplement offers any benefit, other than a placebo effect. This information is so crucial!!! I have suffered so many digestive problems over the years since my early twenties, and even as far back as childhood. I can now look back and see some of the reasons for my suffering! I think that this information needs to be made common knowledge to every household in the general public and quickly. Because I wish I had known these things earlier in my life, I would like to see people become informed at least by their teen years so that they can make healthy choices in their lives. Good health affects every area of our life! I have the same question, and I was wondering if any of your products will address / solve this issue? Please see our response down below dated December 12, 2011. Thanks! For obvious legal reasons, we cannot diagnose or prescribe – merely provide information. With that in mind, as Jon has pointed out on several occasions, when starting on digestive enzymes, you may have to start at very small doses and build up slowing to allow your body time to adapt. You also may want to check and see if by any chance you have a hiatal hernia. If undenatured protein resists digestion by protease enzymes then how much protease should be used to overcome this resistance? I'm thrilled to have just discovered this fantastic website.... however after reading through most of you newsletters relating to digestion I notice that Gastritis is not mentioned at all.... I have mild chronic atrophic gastritis which I am managing to keep under control using a range of herbs, however it has been a long road and lots of hurdles (1 year to date!). The doctors don't have a clue about this either. It would be so fantastic for all of us gastritis sufferers if you could do an article on this topic as we have very little reference material, and it really is just trial and error... and way more complicated than an ulcer! Most of us with gastritis suffer from stomach acid issues and I read with interest that digestive enzymes could possibly provide some relief... I will have to try them. Any other advice would be most appreciated. Thank you. Further to my previous email regarding gastritis - as you know there are a few types of gastritis which are either chronic or acute. Obviously our main concerns are to try and heal the stomach lining which would enable us to lead normal lives again (as opposed to only eating cooked root veg, lean protein and bananas 3 times a day!). So the question on all of our lips is: can the stomach lining actually be healed successfully, or are we going to have to simply manage this disease for the rest of our lives? Many doctors say it is impossible and some alternative health practitioners say that yes the stomach lining heals easily (with the correct mix of herbs of course). It's all such a grey and fuzzy area when it comes to the ins and outs of gastritis... I hope you are able to shed more light on this topic for us. Thanks for your time. Although Jon does not use the word gastritis specifically, it is merely another word for inflammation of the stomach lining and its associated symptoms. For specific details on how that works, you might want to take a look at Jon’s series of newsletters on the anatomy and physiology of the stomach.